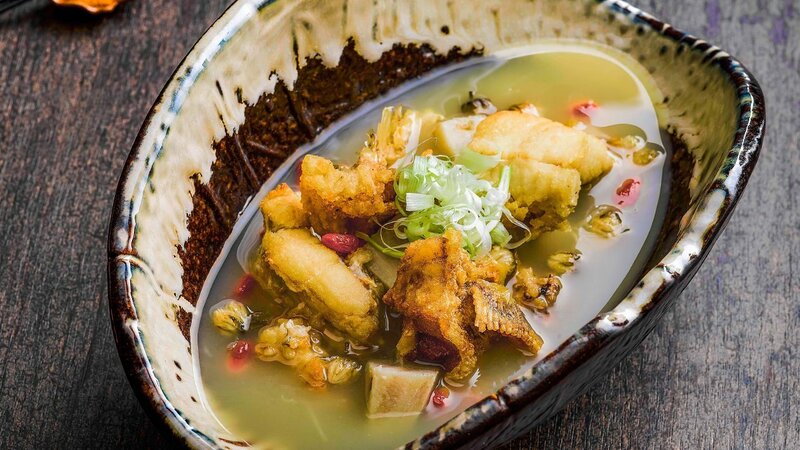 Healthy soups are a staple of Chinese cuisine, and this soup combines a variety of ingredients that are well-known among the Chinese for their immunity boosting properties - arrowhead, fish, chrysanthemum and goji berries. Heat up corn oil in wok, deep fried fish head until golden brown. Bring water to boil and add in all ingredient with lid bring to boil for 15 mins. Let it simmer for another 35 mins. Add in seasoning, and simmer for another 10 mins. Portion soup to soup bowl, garish with coriander leaf and go ji.